BANGKOK: Four signature Avani Hotels will be introducing a new ‘Meet Our Friendly Neighbours’ initiative, which will offer guests the opportunity to interact with wildlife. Each program invites guests to add a fun and imaginative learning experience to their Avani stay. Avani+ Luang Prabang, located in the Unesco World Heritage Site of Luang Prabang in northern Laos, is partnering with Laos Buffalo Dairy. They are currently on target to help local farmers raise 200 buffalos, thereby educating the local community about the importance of milk nourishment for children, how to breed healthy buffalo and building a sustainable and economically viable dairy or farm. Guests can visit the dairy on the way to Kuang Si Waterfall to try some homemade buffalo-milk ice cream, cheese and yoghurt. Avani+ Luang Prabang will also be working with Laos Buffalo Dairy to incorporate these homemade products such as cheese and milk into the Honest Food menu at Bistro & Bar. 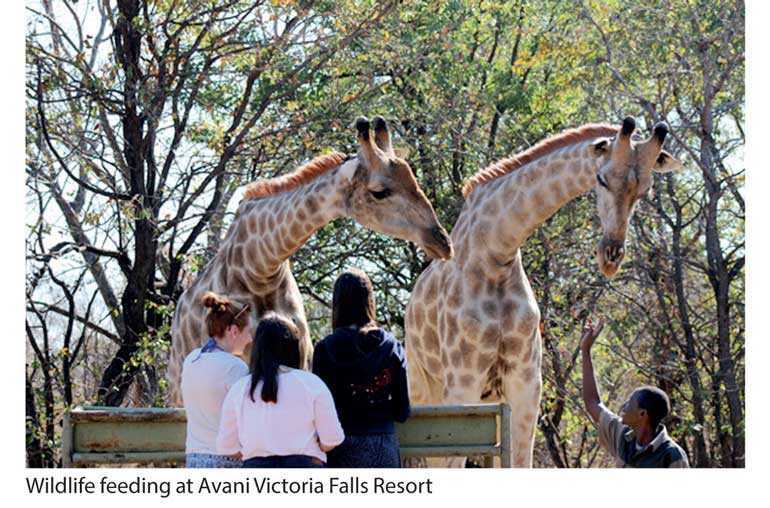 Avani Victoria Falls Resort connects the wild side of travellers to Zambia’s wondrous landscapes and big game thrills. With the iconic Victoria Falls on its doorstep, Avani evokes a contemporary vibe with essential comforts surrounded by dramatic nature. To maintain this vibrant environment, the resort is an active custodian of the wildlife living on its grounds, such as giraffes, impalas and zebras. Guests participating in the program assist local expert caretakers in tending to and feeding the resident wildlife, especially during dry season when vegetation is scarce. Avani Pattaya Resort & Spa’s grounds and pond serves as an ideal home for Peter Pan, Big, Baitoey and Baibua – the in-house macaw and geese resident of the resort. Baibua (female) and Baitoey (male) are the latest addition to the Pattaya resort’s family. The Emden pair is always looking forward to interacting with guests and enjoy lettuce from the resort’s own hydroponic farm. The two blue and gold Macaw are treated like royalties and reside in the resort’s own aviary. They also interact with guests every morning near the restaurant al fresco area. At the contemporary Avani Hua Hin Resort & Villas that just opened at the end of 2017, a specially built lagoon has been stocked with over 500 fish seeds to further connect the local ecosystem with the resort’s landscaping. A local fishery expert will tend to numerous local marine life varieties such as Nile tilapia, striped catfish and java barb. Guests, young and old, can learn about these different fish species making the resort’s lagoon home and also join in the scheduled fish feeding program. Avani Hotels & Resorts currently operates 23 properties in Asia Pacific, the Middle East, Africa and Europe, most recently debuting in Australia, New Zealand and Laos. The brand is planning to launch more new properties in Australia, Tunisia and Thailand before the end of the year.